We aim to respond to all messages within 1 business day. You'll be hearing from us soon! 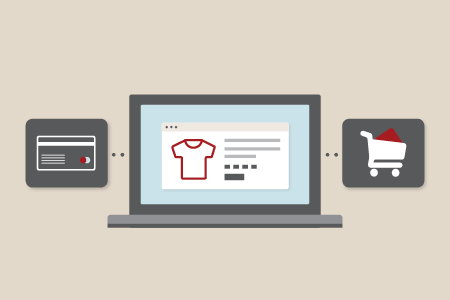 We'd love to help you get your next digital project off the ground. Well-respected as a holiday booking service for over 15 years, Kiwi Travel has had the honour of constructing, organising and providing lifetime memories to its clientele. With their dedicated team of professionals, they’ve searched New Zealand high and low to bring you all things kiwi and provide opportunities and activities to view, feel, embrace and create stirring memories of. 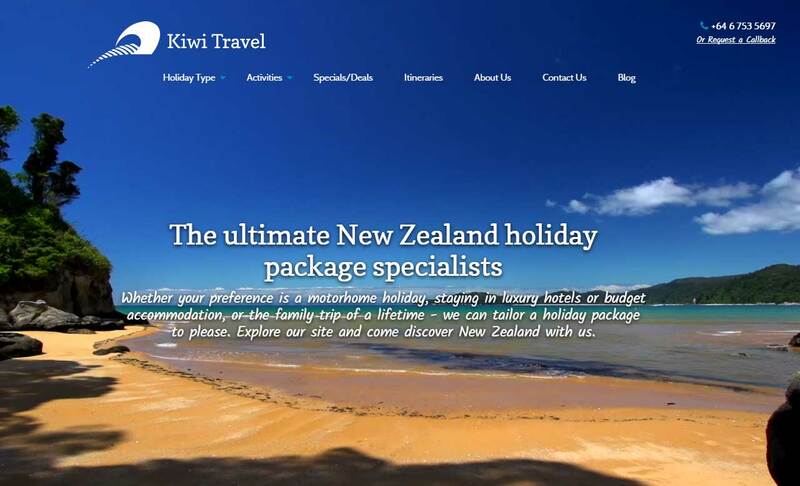 We have created an image rich, visually appealing website that is powered by Orbit CMS and integrates with the Kiwi Travel holiday booking software. Along with content and website copywriting, created to assist with conversion, the site also invests heavily in digital marketing including AdWords and remains very competitive in its industry. The site was designed and developed responsively to ensure a connection with the company's very mobile target market. Over the past few years I have had the occasion to call on the services of Apex Digital to both build our websites, market and manage the day to day content of these sites. On all occasions I have found their staff to be honest in their approach to the task, and the advice that they have given in all instances, from the first approach to planning and design through to the implementation of the actual build has been exemplary. At all times they took on board what we requested and if they felt this could be improved to create a better WOW factor came back with sound logical advice. It has been a great pleasure to work with the Apex team in the design and rebuild of our new website www.kiwitravelnz.com The combined expertise of all involved, from design through to completion has created a website we are all proud of and excited about. Now the site is up and running the ongoing support and marketing expertise from Apex Digital is exceptional. Having experienced alternative options I can only say that Apex, in my opinion, leads the field in what it offers in regards to design, build and marketing of reliable websites. We at Kiwi Travelnz.com Ltd have no hesitation in recommending Apex Digital. ARE YOU READY TO BE SMARTER ONLINE TOO?WANT TO GET STARTED? Our friendly team can be reached Monday - Friday from 8.30am to 5.00pm. Fill in your details below and we'll get back to you lightning fast. Receive monthly updates containing tips, tricks, news and more.